Place the pork roast into the electric pressure cooker insert with the hot water. and season with salt and pepper. Pour the sauce on and around the pork. Once finished cooking, shred the pork with 2 forks and mix into the sauce. Strain before serving. 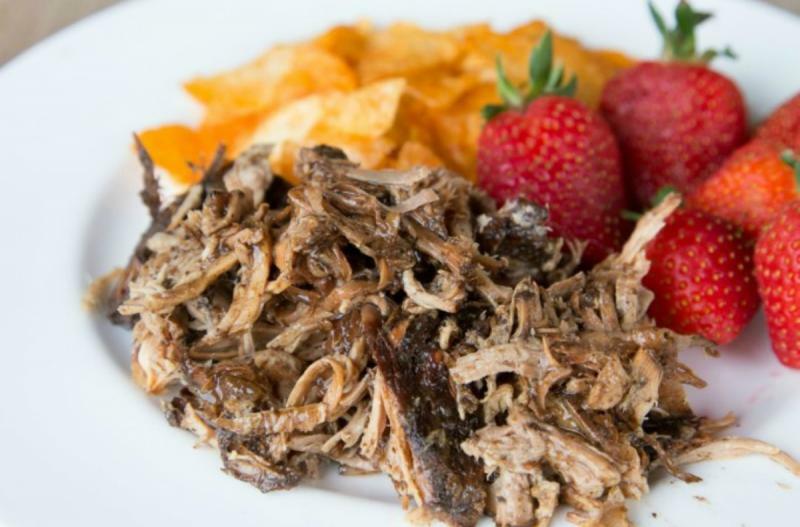 Serve Instant Pot Balsamic & Brown Sugar Pulled Pork with chips and fruit. Thaw, add hot water to Instant Pot and then add contents of baggie. Cook on high pressure for 15 minutes with sealed valve; then natural release. 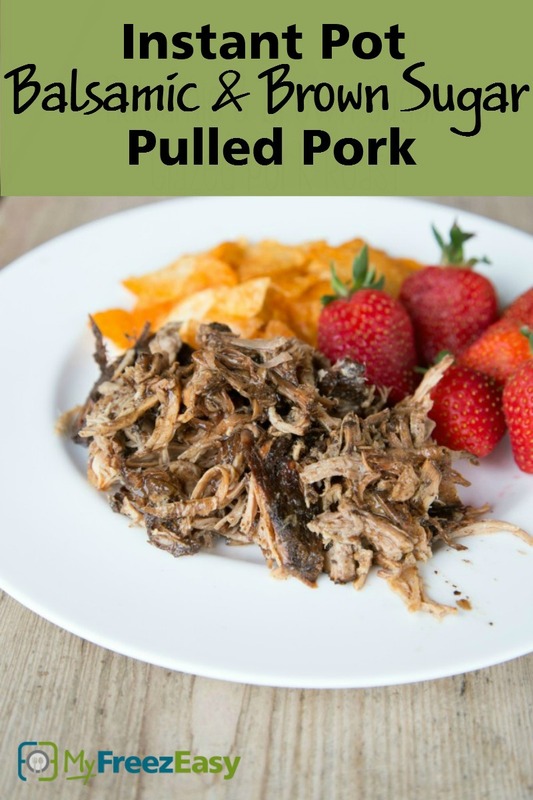 Once cooked, shred the pork with 2 forks into the sauce.